Taline, graduate of 2007 and a Yorkie lifer, has explored a few different directions with her career, but the common thread throughout has been that they all focus around her passion: people. Growing up, she had always aspired to work in an advertising agency. 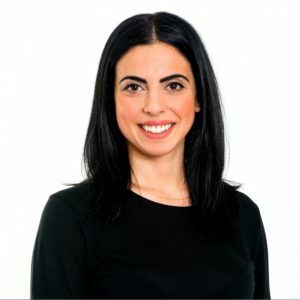 Upon completing her Bachelor’s degree in Communication Studies from Concordia University in Montreal, Taline began her career in Public Relations at a small agency in Toronto. After a year, she decided to move back to Vancouver where she accepted a career in recruitment and soon after began working as a recruiter at Hootsuite Inc., a local tech company. As a recruiter at Hootsuite, Taline filled her day by connecting and recruiting top talent for Hootsuite’s Global offices. It is through this position that she saw an opportunity to develop herself in a new capacity and pursue a position in Sales at Hootsuite, selling Social Media Management Software to companies to help them grow their businesses. Taline is currently an Inside Account Executive at Hootsuite Inc.